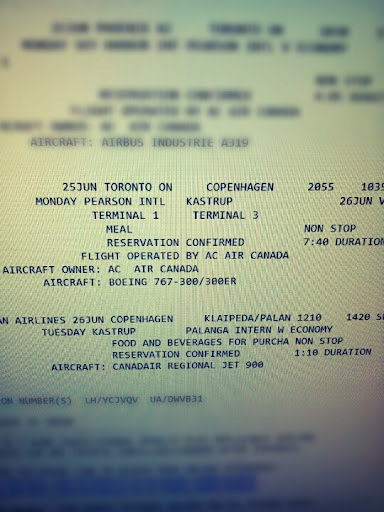 Things "got more real" earlier this week: our plane tickets have been officially booked. Things become much more concrete when actual dates and flight times are starring back at you. Our plan is to make the next few weeks count until we depart on June 25. We would like to spend as much of this time with friends and raising support as possible. I'm going to try to add a calendar widget to this blog so we can keep folks updated on the upcoming fundraisers and fellowship events we're hosting before we leave. I'm the meantime, here's a static list of what we have planned as of now. May 19: Fiesta in the Park (park just west of 4334 W. Vista Ave., Glendale, AZ) We will be selling snow cones at this multicultural celebration! May 25 & 26: Yard Sale (4431 W. Vista Ave., Glendale, AZ) We're selling all our possessions and lots of donated items. All proceeds go toward our debt reduction efforts. May 27: Clinton Frame Mennonite Visit (63846 CR 35, Goshen, IN) We will be reconnecting with many friends and loved ones and possibly even be sharing about our upcoming adventure before, during, and after the service at 10:30 a.m.
May 28: Memorial Day Family Gathering (16565 Lakeview Drive, Vandalia, MI) When the Garbers, Slabaughs, Stumps, and Dennys get together at the lake house for a day of fun and fellowship, only good things can happen. May 29: Central Indiana Family Gathering (Casa Stevenson, IN) Quality time with family and maybe a few friends near Alisha's hometown of Anderson. June 9: Baltic Dessert Social/Variety Show Fundraiser (4334 W. Vista Ave., Glendale, AZ) This is the "big one." Homemade desserts and ice creams will kick off this event. Afterwards we'll be hosting a variety show featuring lots of local talent and The Ragamuffin Stampede. June 16 & 18: FINAL Yard Sale (4431 W. Vista Ave., Glendale, AZ) Everything must go! We're selling all our possessions and lots of donated items. All proceeds go toward our debt reduction efforts. June 17: The Ragamuffin Stampede leads music at Trinity (4334 W. Vista Ave., Glendale, AZ) Our band, The Ragamuffin Stampede, is leading the music at Trinity Mennonite Church. Come raise a righteous ruckus with us! June 24: The Ragamuffin Stampede Farewell Concert (3148 W. Orchid Lane, Phoenix, AZ) The band will continue, but not with us. Come sing songs with us one last time before we leave.